A fast-paced trial schedule has been established for the first six Androgel lawsuits filed against drug manufacturer AbbVie Inc. The first bellwether trial has been scheduled for trial in June 2017. The subsequent cases are expected to begin at four-week intervals thereafter. These cases are part of the centralized litigation against AbbVie, known as a multidistrict litigation (MDL). The MDL is proceeding before U.S. District Judge Matthew F. Kennelly in the Northern District of Illinois. The U.S. Judicial Panel on Multidistrict Litigation (JPML) may decide to centralize separate lawsuits when they share common statements of fact and allegations against the same defendants. An MDL is not the same type of proceeding as a class action because the plaintiffs retain their rights to individual trials and the outcome of one trial is not binding upon the others. MDLs are established to avoid the possibility of contradictory rulings across jurisdictions and to streamline the litigation process. The bellwether trials in an MDL are initial trials that allow the involved parties to assess the jury’s response to various evidence and claims. Judge Kennelly issued an amended case management order on October 27 that indicates the first case will go to trial on June 5, 2017. “The Court’s intention since the entry of the first version of this AbbVie bellwether trial schedule has been to try these six bellwether trials continuously, in immediate succession to each other, with a short break between each trial,” stated the Judge in the case management order. The Judge went on to state that he expected each trial to take two to three weeks, which would give the parties involved in the next bellwether trial at least one week to finish with the preparations for the next case. The first Androgel lawsuit that will be heard was filed by plaintiff Jeffrey Konrad. His lawsuit alleges that the testosterone therapy caused a myocardial infarction. Konrad started using Androgel in May 2010 after being diagnosed with hypogonadism. His medical records indicate that he suffered a heart attack in July 2010, at the age of 49. After the bellwether trials have concluded, it is likely that the parties will consider a settlement agreement for the remaining lawsuits in the MDL. Favorable jury awards in the bellwether cases tend to encourage settlement offers by the defendants. If the remaining cases are not resolved via settlement agreements, they will be remanded back to their home districts for an independent trial by jury. 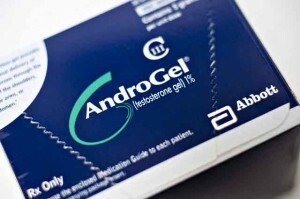 The Androgel lawsuits are only part of the wave of litigation brought against the makers of various testosterone replacement products. Product liability lawsuits have also been filed with regard to Testim, Axiron, Androderm, and similar drugs. In all, there are more than 6,000 testosterone product liability lawsuits pending in the federal court system. The plaintiffs claim that the manufacturers failed to issue adequate warnings about the risks of the products, which allegedly include increased risks of heart attacks, stroke, deep vein thrombosis (DVT), pulmonary embolism, and other serious medical conditions.